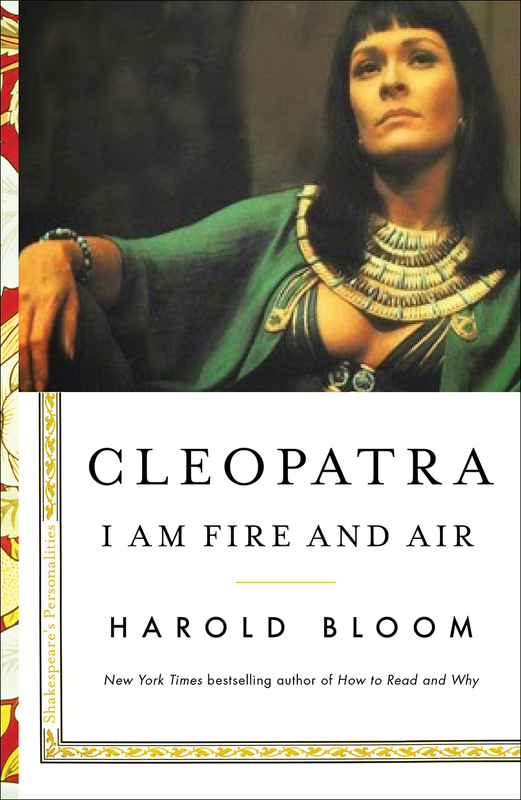 Cleopatra: I Am Fire and Air is the second in a sequence of five brief volumes, “Shakespeare’s Personalities.” The first was Falstaff: Give Me Life and the others are Lear: The Great Image of Authority, April 2018; Iago: The Strategies of Evil, May 2018; Macbeth: A Dagger of the Mind, November 2018. From one of the greatest Shakespeare scholars of our time, comes an intimate, wise, deeply compelling portrait of Cleopatra—one of the Bard’s most riveting and memorable female characters. Cleopatra is one of the most famous women in history, and thanks to Shakespeare, one of the most intriguing personalities in literature. She is lover of Marc Antony, defender of Egypt, and, perhaps most enduringly, a champion of life. Cleopatra is supremely vexing, tragic, and complex. She has fascinated readers and audiences for centuries and has been played by the greatest actresses of their time, from Elizabeth Taylor to Vivien Leigh to Janet Suzman to Judi Dench. An award-winning writer and beloved professor, Bloom writes about Cleopatra with wisdom, joy, exuberance, and compassion. He also explores his own personal relationship to the character: Just as we encounter one Anna Karenina or Jay Gatsby when we are in high school and college and another when we are adults, Bloom explains his shifting understanding of Cleopatra over the course of his own lifetime. The book becomes an extraordinarily moving argument for literature as a path to and a measure of our own humanity.